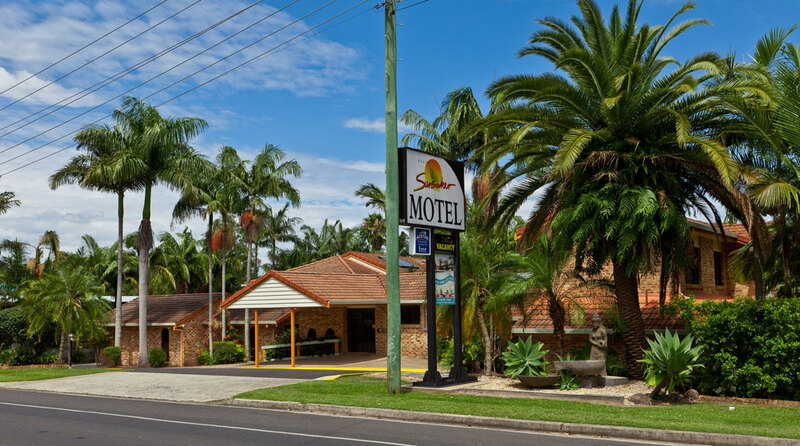 The motel is located 1.5kms from town centre and is surrounded by lovely tropical gardens and spacious lawns to play on. The units have a private patio and balcony with table & chairs to sit and relax. Cottages have there own drive way to park and table with umbrella to relax under, all the cottages have a full kitchen for those who wish to cook. Units have kitchenette, microwave, kettle etc. Guest Laundry available with washing machine and dryer, iron/ironing board for all guest use. There are many places to visit while in Byron Bay lovely beaches,national parks,shops,galleries,cafes,restaurants. Markets 1st Sunday each month,Farmers every Thursday and Beachside 3 times a year. You can also go to Bangalow, Lennox Head or Brunswick Heads. Or just relax by the pool and cook a lovely meal on the BBQ's. All guests have FREE WiFi . We also have a Tourist Board with brochures for all things to do ie: Learn to surf, Skydive, and lots more.We have lots of knowledge and here to help.